The Mole Cricket is an impressive and unusual looking insect from the family Gryllotalpidae measuring 3-5 cm long and as it is nocturnal they are seldom seen. When my wife showed me the insect in our garage I had no idea what it was, but luckily Mansur Al Fahad a local birdwatcher is excellent at identifying most living things and quickly replied with the identification, for which I am very grateful. The scientific name derives from the Latin 'gryllus' meaning cricket and 'talpa', mole, and refers to its similarity to a mole in both looks and subterranean habits. The body is brown in colour and covered with fine velvety hairs, and the forelegs are greatly modified for digging with hands like a mole. Only the adult stages are winged, and flight is said to be clumsy and directionless although powerful and only performed on rare occasions at night. Adults and nymphs can be found throughout the year in extensive tunnel systems that may reach a depth of over one metre. 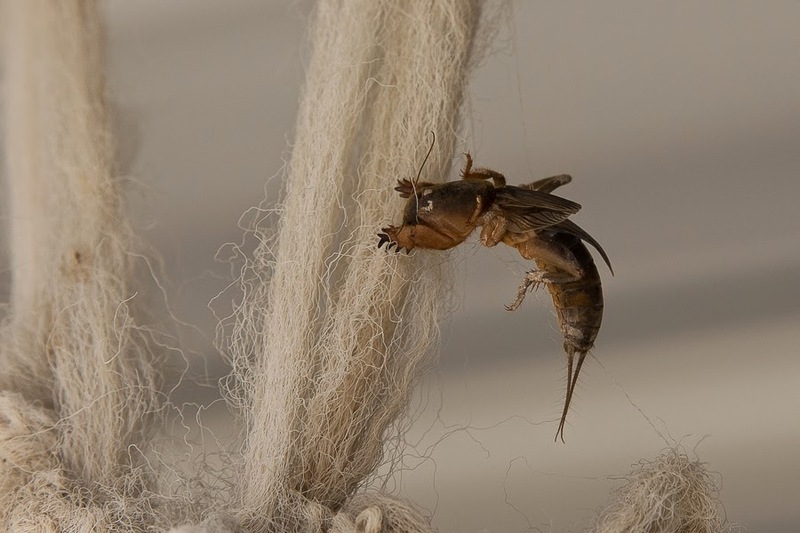 There are several types of mole crickets that are omnivorous, feeding on a range of soil invertebrates and plant roots and can be pests of market garden crops and palm trees. 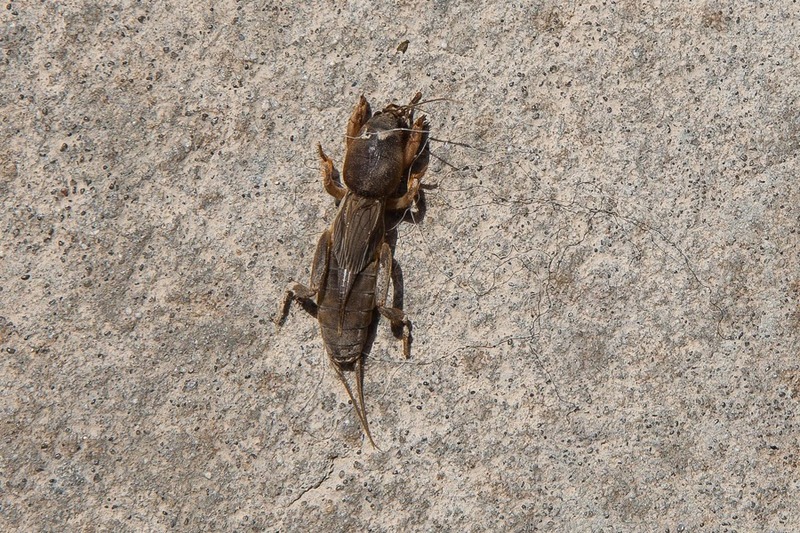 Common predators of mole crickets include birds, rats, foxes, and lizards. They are all of similar appearance and adapted for tunneling just below the surface of the soil in damp places. They occur throughout Europe, except Norway and Finland, through the Middle East to western Asia and North Africa.